Second Harvest works alongside Feeding America and the Ohio Association of Foodbanks to support the protection and expansion of federal nurtition programs to endure families do not go hungry. The Supplemental Nutrition Assistance Program (SNAP): Formerly called food stamps, SNAP is a cornerstone federal program to help hardworking families during difficult times. Serving more than 43 million Americans, SNAP is the largest anti-hunger program in the United States. The Feeding America network helps connect eligible individuals with these vital resources through education and outreach activities. The Emergency Food Assistance Program (TEFAP): TEFAP is a program that purchases and distributes food to low-income Americans. TEFAP provides approximately 19% of the food distributed by the Second Harvest each year. Food Waste: Between 25-40% of the food grown, processed and transported in the U.S. goes to waste. 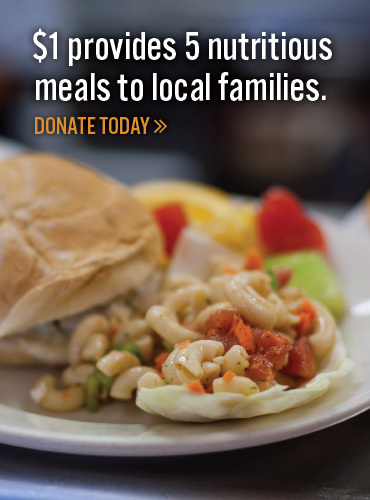 Our national organization, Feeding America is working hard to try and capture that food and help connect it to the people who need it the most. In one year, Feeding America rescues 3.3 billion pounds of food that might have otherwise gone to waste and helps distribute it to Americans in need. There is an opportunity in the 2018 Farm Bill to adjust federal policies and funding to help enable additional food donations, allowing the Feeding America network to expand our food rescue work to efficiently feed even more people facing hunger. Commodity Supplemental Food Program (CSFP): The CSFP is a program for low-income seniors ages 60 and older. It provides nutritious food to help supplement their diet and it operates in all but two states. Second Harvest distributes 1200 boxes to seniors living below 130% of poverty throughout our region. Tell your members of Congress to visit a Second Harvest and see the impact of these critical programs.